Sometimes I think coming up with a title is the hardest part about blogging. I didn't really go to a fair. Not today. I mean, I have been to a fair before. 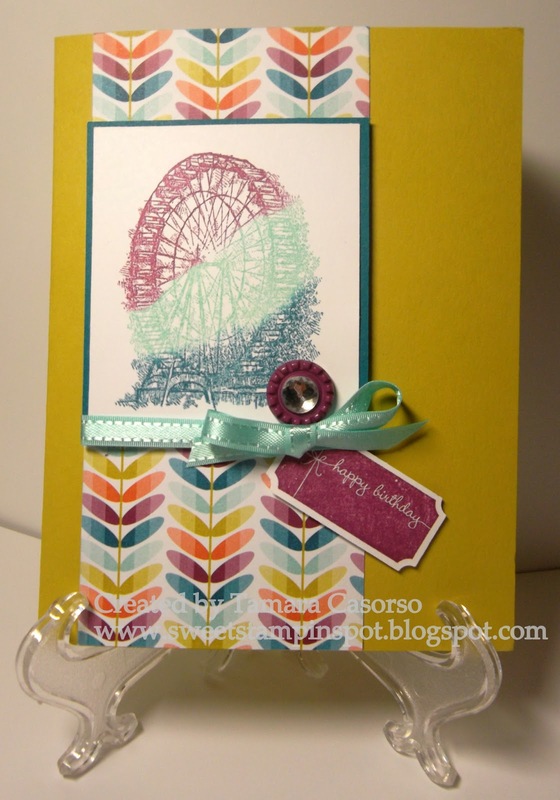 I just though that a fair is a likely place to see a Ferris Wheel, which is what our card's main image is today. I CASE'd this card from my upline, Desiree Spenst. I changed up some of the colours and used a different print from the Sale-a-bration paper Sycamore Street, but other than that, the layout and elements are the same. 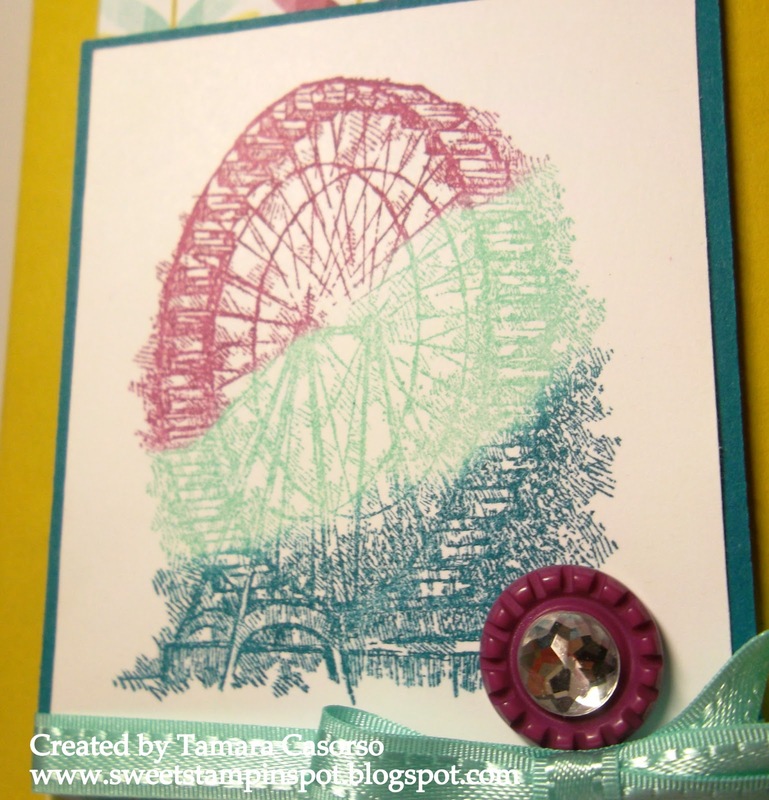 The Ferris wheel image from Feeling Sentimental was inked with Rich Razzleberry, Pool Party, and Island Indigo ink using sponge daubers. The Sycamore street ribbon (in Pool Party) and button (Rich Razzleberry) dress up this panel. That's one of the new Large Basic Rhinestone jewels in the centre of the button. That's the Ticket (stamp set) contains some versatile images for all occasions. 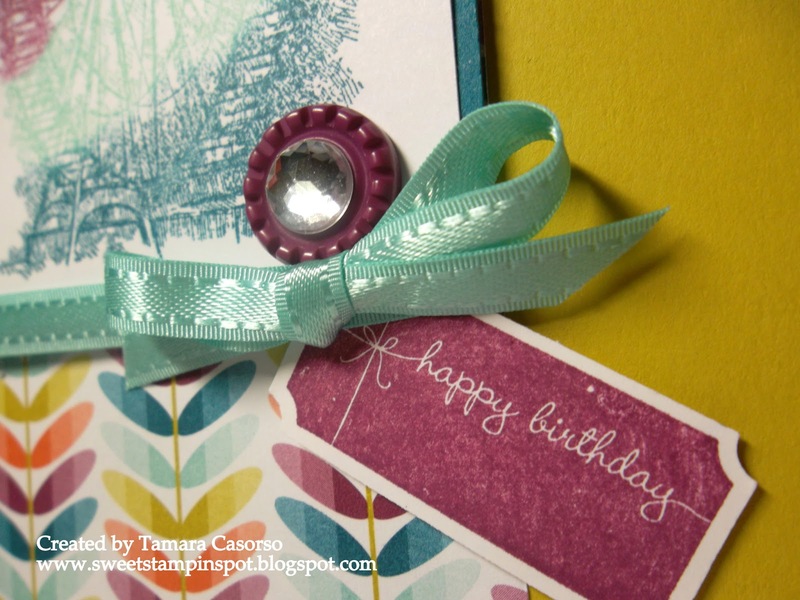 Stamp it and then punch it with the ticket duo punch and you've got an easy and fun accessory!